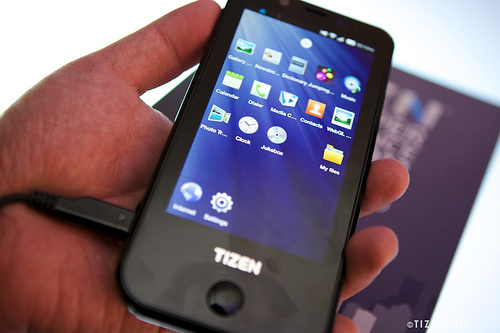 Samsung’s First Tizen device will have a Super AMOLED HD Plus display? As you may know Samsung is one the companies who is working on the development of the Tizen operating system and most likely is that we will see the first devices that are running on the OS later this year. Today we received information that Samsung (as expected ) will release a Tizen based device with a Super AMOLED HD Plus display. Its unclear if its going about the first Tizen based device but its most likely. The advantages of the Super AMOLED HD Plus panels over the regular Super AMOLED panels are that the Plus version have more sub pixels which results in a sharper and clearer image quality and the latest generation is also thinner, brighter, consumes less battery and the sensitivity is improved. If this is true than Samsung will follow the same strategy that they used with their first bada device which was the Wave. The Wave was the first device with a Super AMOLED display. The reason why Samsung made this decision was to attract consumers and developers and that’s why we wouldn’t surprised if Samsung would use the same strategy for their first Tizen based device. Je, je esperare por él.